The continuous flow synthesis of functional thiophene derivatives was examined. 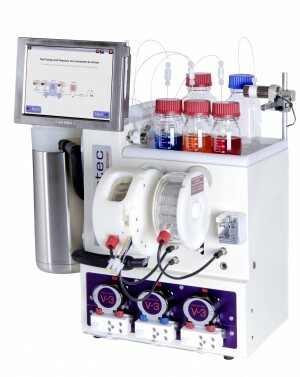 Methodology for the lithiation of thiophene building blocks was developed using a commercial bench-top flow reactor. 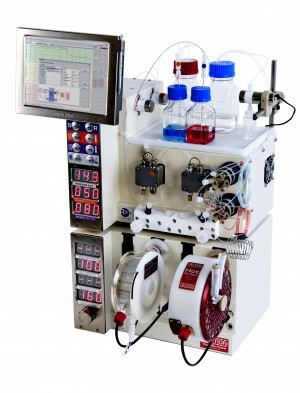 In addition, the advantages of flow processing were demonstrated in the synthesis of a high performance organic dye in gram scale.